I look it up, and it turns out my Google Wallet account is apparently suspended, pending verification that my credit card is actually mine. Only, what they want me to do is scan my drivers license, AND a utility bill and attach them to an online form, and then wait 5 days for a response. Online I read of plenty of people saying that this was not enough and that its taken months of generic template replies and guff, and they are no closer to being able to purchase anything. 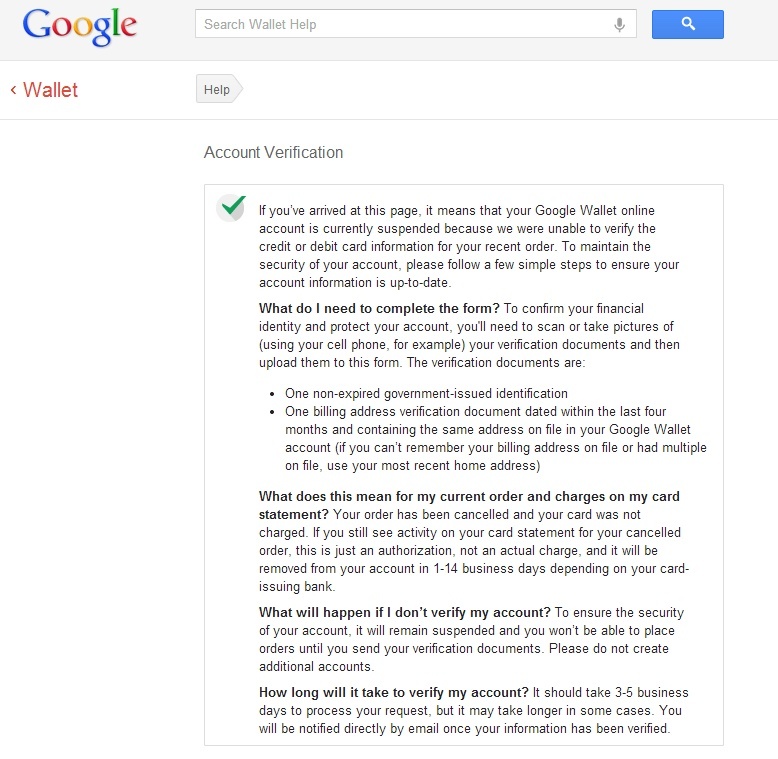 So, goodbye Google Wallet – I refuse to give you more than I need give any other vendor in the online market place. From a customer who’s never once failed to make a payment, or had anything less than a perfect financial history of bill paying etc. I am astounded and angry. I guess Ebay and PayPal are the winners, but I still don’t get my game. Oh well. I don’t think I’ve ever had anything like this. Same happened to me, try Amazon Apps, most of the major players are on there and you don’t get asked to disclose information to an organistaion who have a poor track record in keeping your details safe. I likewise purchase a wide array of things online such as groceries, books, music, clothes, electronics etc. and all of them find verified by Visa and the likes more than adequate.